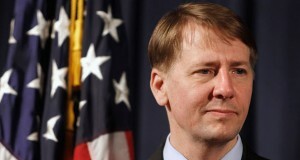 WASHINGTON, DC – Consumers Union, the policy and advocacy arm of Consumer Reports, applauded the Senate’s action today to take up the confirmation of Richard Cordray as Director of the Consumer Financial Protection Bureau (CFPB). In a show of bipartisan support, the Senate moved ahead with the confirmation, ending a stalemate by some lawmakers who had refused to consider any nominee unless changes were made to the CFPB that would weaken its ability to protect consumers. The Senate is expected to hold a final vote on the confirmation later today. A national survey released earlier this week by Consumers Union found that 74 percent of consumers said that they support approval of a CFPB director to ensure that the bureau’s work is not interrupted. The poll, conducted by the Consumer Reports National Research Center, also found 55 percent of respondents said that interrupting the CFPB’s work would harm consumers. A separate survey released by Americans for Financial Reform and the Center for Responsible Lending, showed that 80 percent of respondents said they supported the CFPB, while 83 percent said Wall Street financial companies should be held accountable with tougher rules and enforcement for the practices that caused the financial crisis. The CFPB, created by the Wall Street reform law passed by Congress in 2010, is charged with identifying and stopping unfair, deceptive, and abusive financial practices and keeping the rules governing financial service products up-to-date. Under Corday’s tenure, the CFPB enforcement actions have resulted in $425 million of refunds to approximately 6 million consumers who were subject to deceptive financial practices. The CFPB has also helped resolve over 133,000 financial services complaints involving a wide variety of financial issues including credit cards, mortgages, student loans, and bank account services.